Our Alpaca Alpaca Experiences are a fun way to spend time in a real working farm in a lovely setting. Open throughout the year, check the bookings calendar for availability and to book your experience on-line. If you have received a gift voucher, please check the available dates and call (01642 262700), email (info@alpacaalpaca.com) or message via face book to book your experience. We’re committed to providing the best home and welfare for our alpacas, to do this we charge an entrance fee which goes towards hay, food and veterinary care. A single standard ticket price is £20 for children or adults walking. A maximum group of 8 (walking 6 alpacas and 2 llamas) can be booked for any one session. All Children 6-12 yrs are required to share an alpaca with an adult with a full priced ticket. ‘Spectator and Share’ tickets are booked via the shop section. All spectators or those sharing an alpaca MUST purchase an additional ‘spectator and share’ ticket at £12.50 from the shop section on the website. This is a requirement for insurance purposes. Maximum 1 child/spectator per Alpaca/Adult. Fizz Friday Spectator and Share tickets are £17.50 each. Unfortunately we cannot accommodate under 6 years old. You will meet the alpacas/llamas, including our mums and babies. Walk with the alpacas and llamas along the river and pause for selfies passing our resident sheep with their own stories. 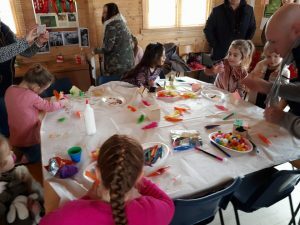 Hot and cold drinks served at the cabin with arts and crafts available for creative types. Please DO NOT WEAR sandals, flip flops or your best clothes. Old trainers, wellies or boots are best, and a raincoat is advised just in case. Come and enjoy an evening in a fabulous setting with alpacas grazing on the hillside, check out the evening stars through the star light roof. Queen sized bed, log burner, small hob, fridge, toilet and shower room. Welcome pack including a selection of tea, coffee, sugar and milk. 25% discount on walks booked – subject to availability. Please call or email to check for availability. 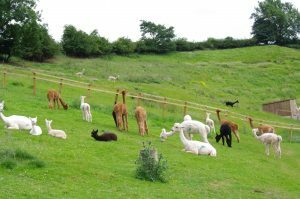 Bring your children’s party to Alpaca Alpaca – meet the alpacas and llamas, walk with the alpacas/llamas and meet the crazy sheep and pause for selfies. 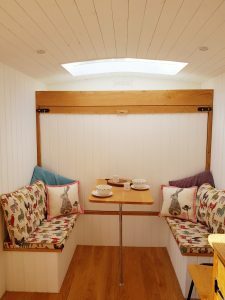 There is a small kitchen area which is equipped with basic crockery, a fridge and a microwave which you are welcome to make use of to bring your own food and birthday cake. Our Alpaca Parties are aimed at children aged 6 and above. For health and safety reasons the minimum age for children attending parties is 6 years old which unfortunately includes younger siblings. All children attending the party must be included in the numbers. Parents, family members and carers. Due to the numbers in the party, we have a maximum of 4 adults on site so some parents will need to drop off and collect. Parking is limited (approx. 10 cars) so car sharing is advised.